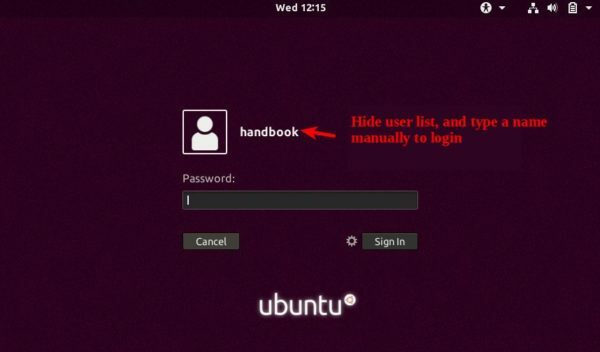 The Gnome login screen normally shows a list of available users to log in as. For those who want to disable showing the user list, and manually type a username to login with, below I will show you how. 3. Then switch to user gdm, which is required to run gsettings to configure gdm settings. After that, restart your computer and enjoy!